Our 13B engine stud kit is designed for High Horsepower applications. These studs are available for all 13B engines including the MSP-13B Rx-8 engine. This stud kit is a more linear, and precise medium of torquing the engine compared to stock tension bolts. Torquing the stock bolts creates friction at both the threads, and head of the bolt. This unnecessary friction promotes false torque readings and the result is reduced and uneven clamping force. Instead of twisting a bolt to achieve a desired torque reading, studs are stretched in a static position. Furthermore and more importantly these studs are made from far superior material which increases clamping force evenly, and engine expansion is limited. The OEM bolt material stretches under high boost and in turn, reduces clamping force. An engine using the OEM bolts will expand several thousands, as measured with a strain gauge on an engine dyno. This expansion can damage the engine's internals. Common acoustic, harmonic, and resonance issues are reduced due to the superior material used in the stud manufacturing. Installing these studs will reduce engine expansion and movement which is a must for a high powered rotary. The manufacturing process of these studs makes them far superior to the OEM bolts. This stud kits also feature an embossed allen head which makes assembly very easy. Studs are ground with aircraft quality forged steel. These studs feature hot rolled threads and allen head tips. Rated at 195000 PSI tensile strength after heat treating. 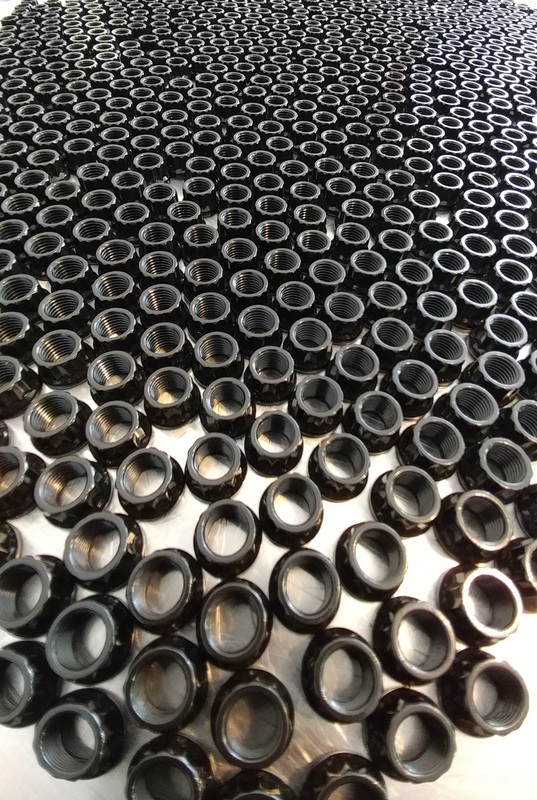 Studs are finished in black oxidation coating. No machining is required for installation. Studs are compatible with OEM or aftermarket flywheels( S4 flywheel will require a bottom end tap to be used on front iron to achieve as much thread depth as possible) Replaces all 16 inner tension bolts for 13B/12A engines, Rx-8 engines kits replaces only 13 tension bolts. Service life will not reduce like OEM bolts, these are re-usable. Studs should be torqued to 3 inch lbs, and the nuts to 32 Ft lbs( in 4 ft lbs increments using the OEM torque pattern). Lubricate the front iron threads, and use a silicone sealant near the OEM sealing washer threads(OEM sealing washers not supplied). If using lubricant on the OEM sealing washers, use brake clean and wipe the studs clean once the sealing washers are installed. Let the sealant on nuts setup overnight and pressure test engine coolant system to confirm proper adhesion of silicone sealant. Pineapple Racing Pressure tester or equivalent is recommend to use before engine installation. I want to add that we also make a through stud version for those who do not want to heli-coil their front iron. 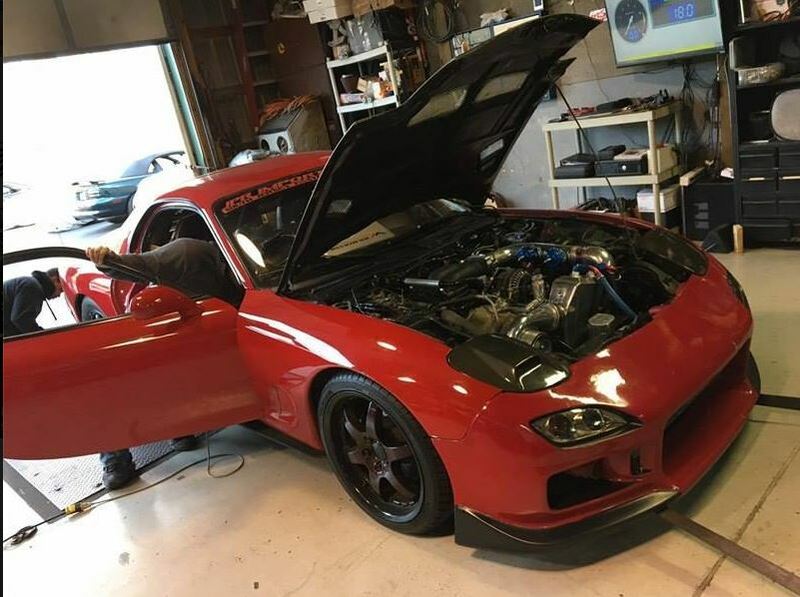 This version of the kit is designed for those going past 1000rwhp. Len Bacon's low 8 second car runs our normal version, but is now upgrading( video below). The black mamba racing 13B also runs a low 8 on our 13B stud kit with an S4 engine! We also have a car that has run a 7.20 @ 196MPH with our standard kit. I am not sure what else is done engine wise to this vehicle. Maybe I missed the info on the threw bolt stud kit on your website. What's it consist of and price. 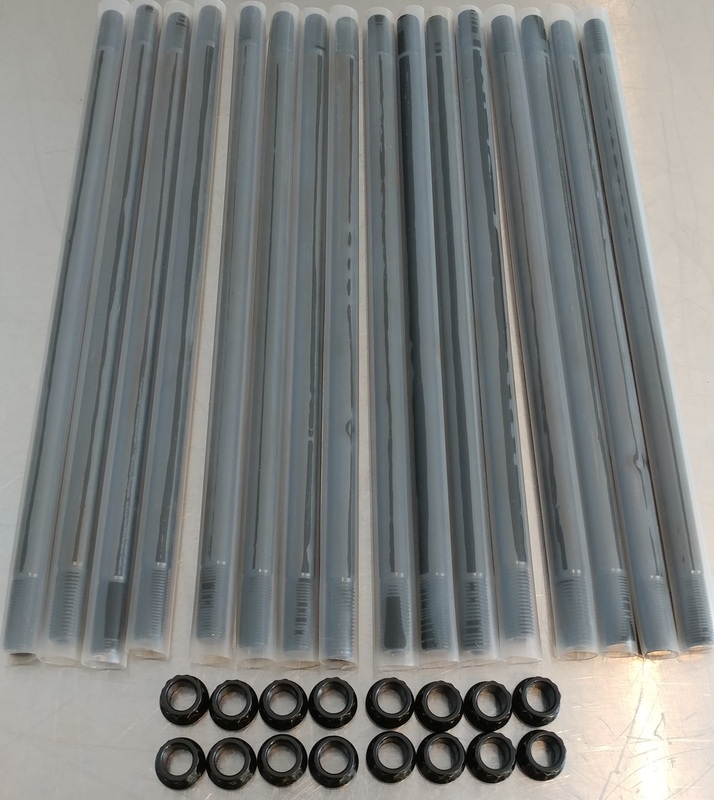 Same price, its just has 6 studs that go through the front iron( requires drilling and adding a radius for o-ring seal). 70 engines worth of stud kits will be back in stock in 11 weeks( 3/20/17). After 10 years of manufacturing we have done a major overhaul on the studs, including a lot of R&D testing. This never before seen data will be released when the studs are in stock. 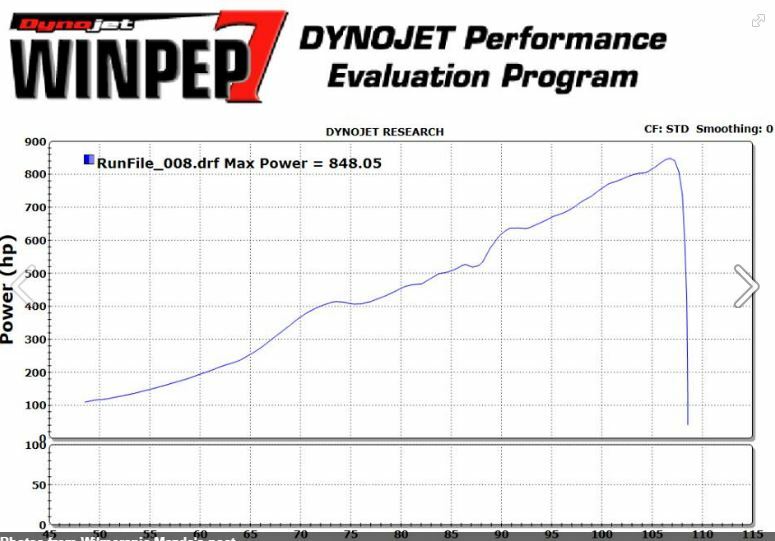 Another happy customer called to let us know he made 848rwhp with zero other engines modifications besides our 10mm engine stud kit! Also for some reason I was wrong on the ETA for the studs to be finished, its 4/20/17, sorry about that! Studs are done, and all the pre orders will ship next week! We have 56 engines worth in stock... We will be adding a bunch of new information about them soon. All pre ordered stud kits have shipped. 20 sold, 50 left in stock. I have a set of these on my current 13B-REW, along with Len' Bacon's badass oil pan. 75 engines worth will be back in stock in 4 weeks. Quick update for those waiting, back orders should be shipping on March 9th. ( 13 days from now). We've updated our website completely, here is the new link to order the studs. These are back in stock. 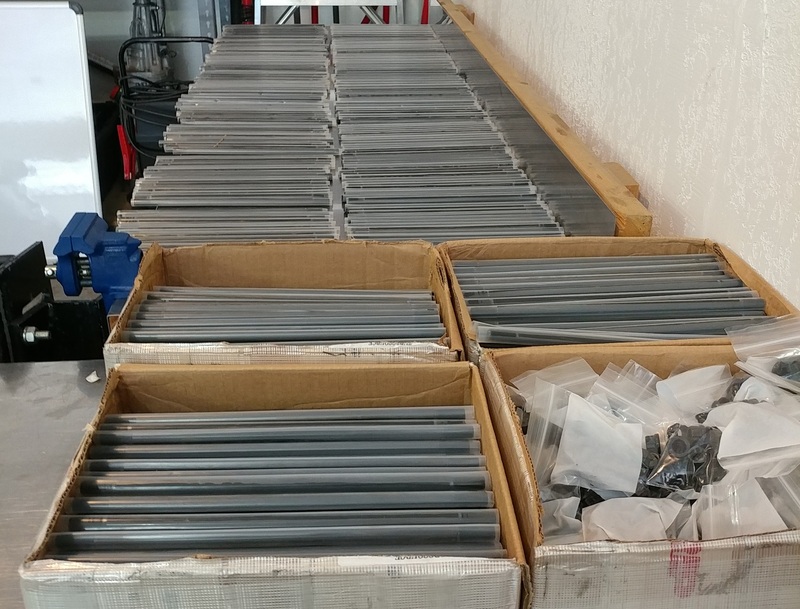 29 kits available for immediate shipping. Down to 10 kits available in stock before they are on back order. Out of stock now. We have a second batch that we started on 6 weeks ago, that should be half done. Will post an ETA on them after the 4th. How do these compare to the ones offered by Goopy? We have 60 more engines worth of stud kits back in stock now. Have you ready our blog post about them? 3 weeks before we have another 85 engines worth back in stock! These have been slightly delayed, but set to be finished at the end of this month( April). Some 3rd party testing has been done and the results mirror what we have published on our website.